Windows 10is released today across the globe as a free upgrade to existing Windows 7 andWindows 8PCs. Starting today, people who reserved their upgrade to Windows 10 will be notified in waves. If you haven't yet reserved your upgrade, make sure your machine is up-to-date through Windows Update and you'll see a Windows 10 icon on the taskbar next to the notification area. You may not see the icon straight away, but once it's there, give it a click and you'll be able choose to upgade immediately or at a time that suits you. Notable inclusions in the new OS include a return for the Start menu (with built-in live tiles), new Universal apps that run on the desktop (and work across mobile, PC and even Xbox One) and four-way window snapping. There's also a new Action Centre to house notifications and more. 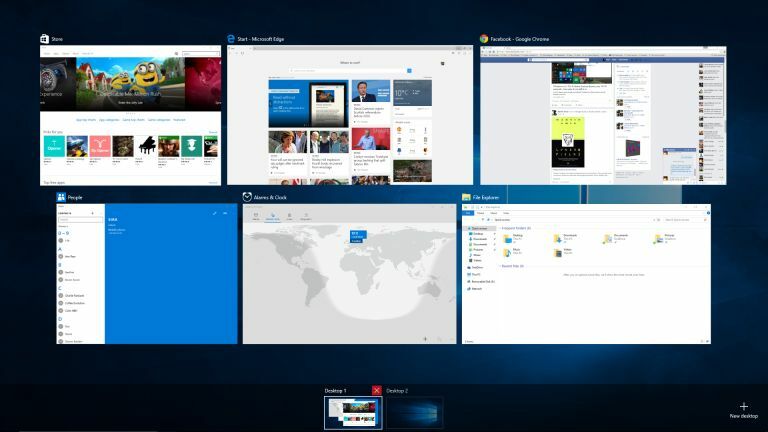 Check our our Windows 10 features guide for more. Windows 10 is designed to be cross-platform.and will not only run on PCs but on mobile, too, as well as small tablets that also run the mobile-centric ARM microarchitecture.The name choice was apparently selected as the OS has undergone a huge jump from Windows 8. From the beginning of August, volume licence holders can grab Windows 10 Enterprise and Windows 10 Education.